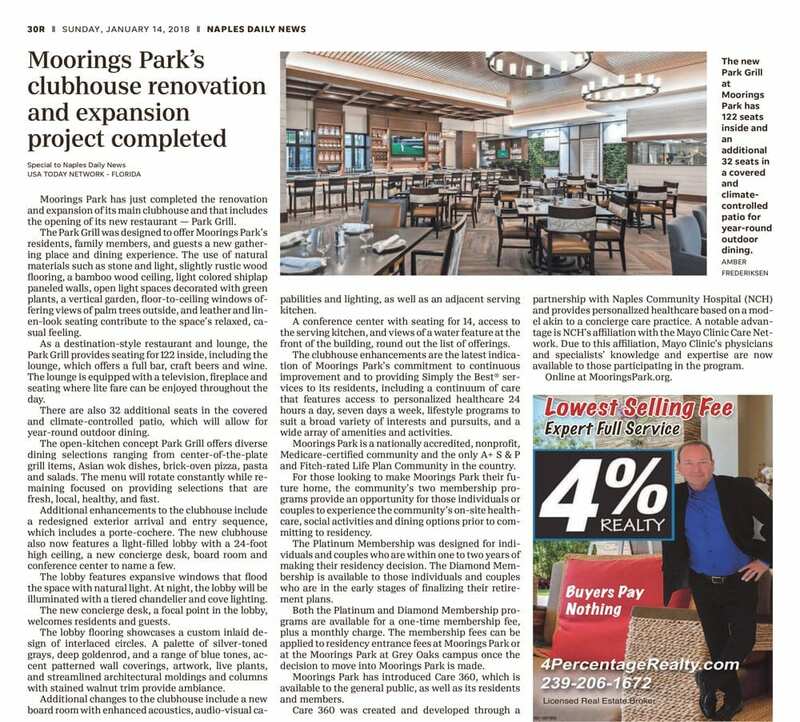 Wegman Design Group is delighted to share news about the newly completed renovation and expansion at the Moorings Park Clubhouse in Naples, FL. The interiors of the main clubhouse and the Park Grill are among our most recent accomplishments at Moorings Park, a client of our firm for more than a decade. Wegman Design Group interior designs can be seen throughout the Moorings Park and Moorings Park at Grey Oaks communities – from clubhouses to restaurants to an award-winning wellness center and more.